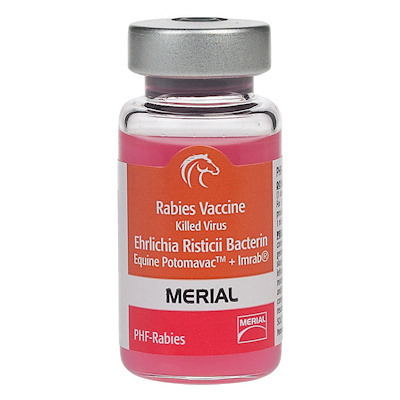 Potomavac + Imrab (Rabies) 10 Dose Vial (Merial). Potomac Horse Fever vaccine and Rabies combo vaccine. Dosage: 1 ml IM, repeat with a second dose of Potomavac + Imrab in 3-4 weeks. Revaccinate annually. Includes one free syringe with needle with each dose.